Photo Sphere is Google’s amazing camera feature that lets users create 360 degree panoramas and publish them to Google Maps. This feature was introduced with Android 4.2 Jelly Bean as part of the camera app and Google has finally decided to release this as an app for iPhone. 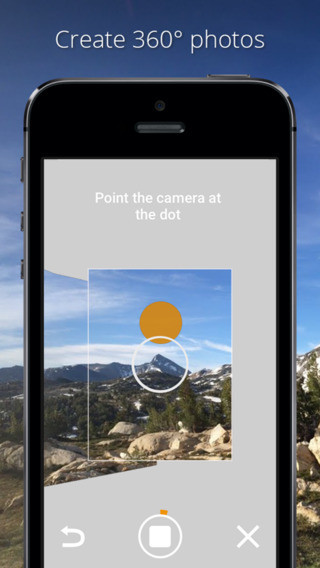 Creating Photo Spheres is very easy – just download and launch the free app on iPhone 4S and above, press the camera button in the app and align the camera to the on screen dot. Keep following the process by moving your iPhone around you and pointing the camera to the dot to expand the panoramic image. Once you’re done, the app will stitch the panorama together and create the Photo Sphere which can then be shared on Google Maps along with the location or via social media on Google+, Facebook, Twitter or email. 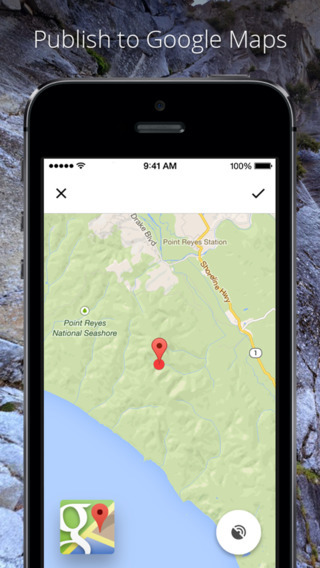 Whether you create the Photo Sphere on iPhone or Android, they can be viewed on both devices as well as in the browser. If you share your Photo Sphere on Google+, it also allows you to pan and zoom in the browser as you would on your smartphone. Why would you chose to use this over the default iPhone panorama feature? The answer is simple. Photo Sphere creates a 360 degree image where as iPhone’s camera panorama feature creates a very wide image. Both are equally good at what they do so you can use either feature or app as required. Photo Sphere is available for iPhone 4S and above ( iPhone 4 can’t create Photo Spheres) and can be downloaded from the App Store from here.